Often, it does not take much for the good events to happen or not … Just a detail, a fortuitous fact that ends up changing everything, for evil or for good. Obviously, this has been the case for a large part of the Polynesian culture that seems to owe its survival to a favourable chance or to some good stroke of luck… But was it really a stroke of luck? Or should we view it in retrospect as the happy result of a royal political action of astonishing resourcefulness? It was on July 14, 1881 that everything got played out: on that day, the French national holiday of July 14 was celebrated for the first time in Tahiti and was to be celebrated every year from that date. According to the wishes of Queen Pomare, this first celebration of July 14 took place at the same time as the traditional local festivals of July. The two events happened to interact powerfully in an unprecedented festive symbiosis, uniting the cultures of both the occupier and of the natives. So were born the very first festivities of “Tiurai” (which means “July” in Tahitian by derivation from the English word “July”). 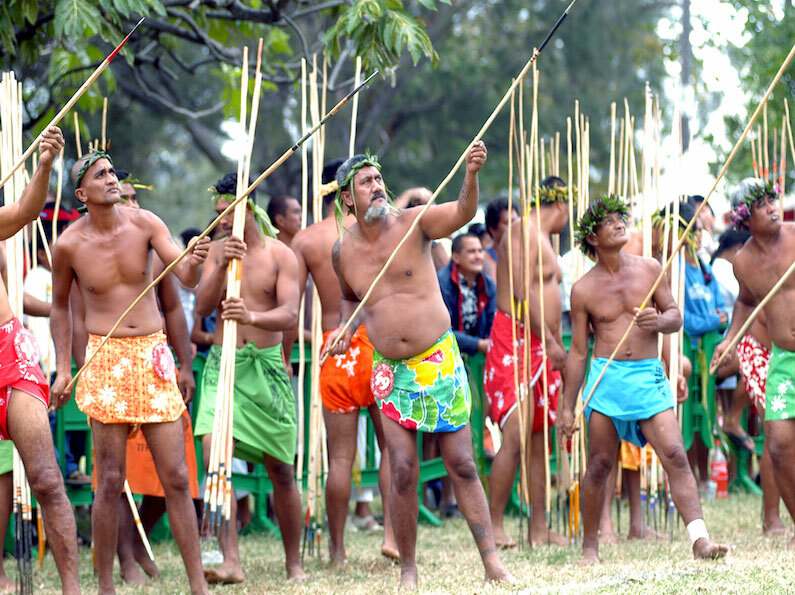 In 1985, one year after Tahiti and her islands accessed to internal autonomy, the Tiurai was renamed Heiva to mark both its refocusing on the differentiation and valorisation of the Polynesian cultural identity and the break with the old Tiurai spirit that once wanted these festivals to be given in the honour of France.